J. Alberto and Anahi are “The Pintos Family”. We each have our areas of expertise, and together make a winning combination. We are backed by a team which includes administrators, stager, marketing consultants and more. Together we are fully committed to giving you the best service available. "I (Alberto) have been successfully involved in sales, for the greater part of my life. The ingredients of my success have always been professionalism, knowledge, honesty, tenacity and providing my customers with unparalleled service. In search of a new challenge, I joined the real estate industry in 1988. Right away this new "lifestyle" proved to be exactly what I was looking for, it offered exciting new professional and financial rewards, as well as independence and total control of the type of service I provided for my customers. So please excuse the pun, but for lack of a better word, I was home!" Our family offers you the proper mix of knowledge, experience and dedication as your full time real estate professionals. This formula not only equals years of satisfied and repeat customers, but also industry recognition as top performers. 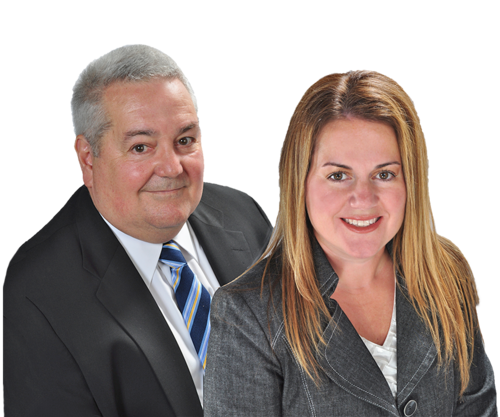 Alberto and Anahi are "RE/MAX Hall of Fame Members" and "RE/MAX 100% Club Members", both esteemed and sought after honours! “We know the real estate market!" Our knowledge and expertise are available to you in English, Spanish and Italian! Are you planning on selling, buying, or investing in real estate, now or in the near future? Call us, we will be happy to fulfill all your needs and more!